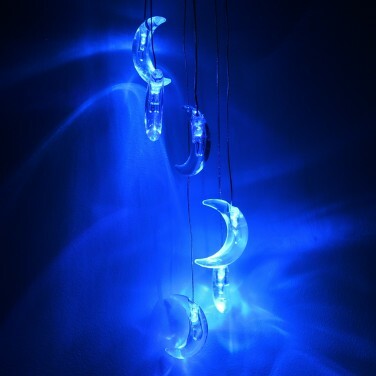 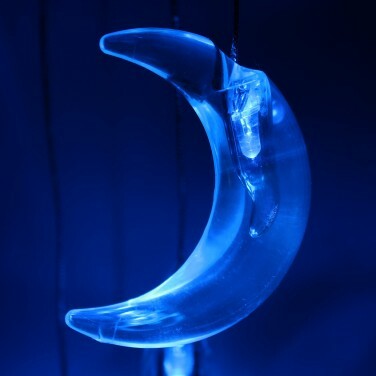 A magical light mobile that will soothe kids at night, this stunning moon mobile features six decorative crescent moons that hang in a spiral casting soothing blue light. 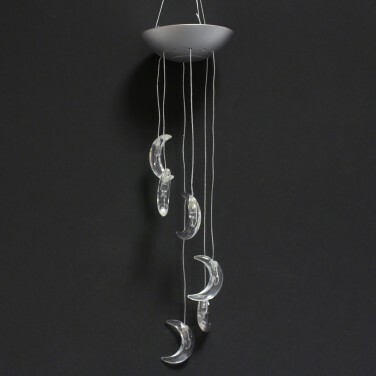 Battery operated, this beautiful light mobile casts a wave of soothing blue light onto surrounding surfaces casting enough light to settle and reassure little ones at night without being obtrusive. 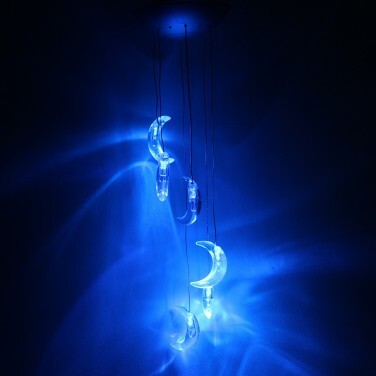 Perfect for kids no matter what their ages, teenage kids will love this light in their room too!